Bananas, bananas and more bananas!!! Bananas are not just for monkeys. We don’t just eat bananas because we share 60% of our DNA with monkeys, though. According to Medical News Today, bananas are rich in potassium, which helps maintain fluid levels in the body and regulates the movement of nutrients and waste products in and out of cells. It also helps muscles to contract and nerve cells to respond. It keeps the heart beating regularly and can reduce the effect of sodium on blood pressure. Furthermore, unlike other fruits, fresh bananas are available year-round. Here are five reasons why bananas are truly a helpful, wonderful and amazing snack. 1. If you are feeling a little down, have a banana- Bananas help overcome depression due to high levels of tryptophan, which is converted into serotonin, the happy-mood neurotransmitter in the brain. 3. Constipated? Got the runs? Bananas are the way– High fiber in bananas can help normalize bowel motility. 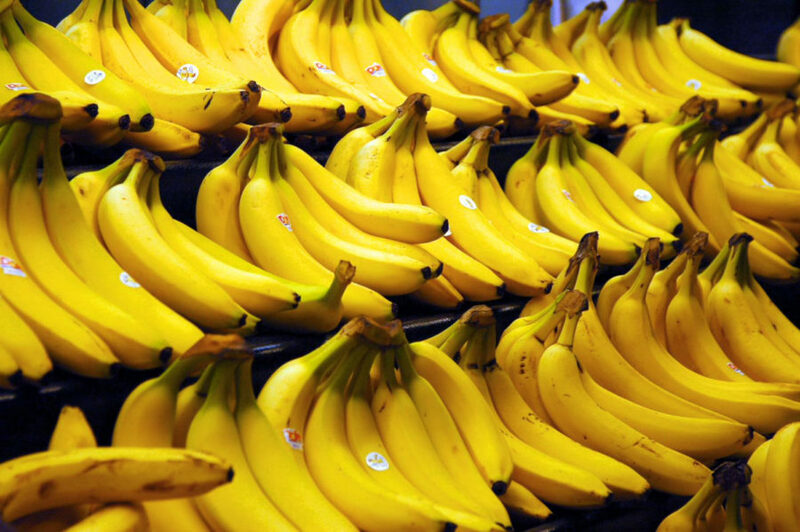 Bananas are also soothing to the digestive tract and help restore lost electrolytes after diarrhea. 4. Feeling hot? Yeah, you know you do. -Eating a banana can lower the body temperature and cool you during a fever or on a hot day. 5. Need a little bit more shine in your life?– Rub the inside of a banana peel on your leather shoes or handbag and polish with a dry cloth for a quick shine.